Well, it takes a while to figure that out. This quirky action-comedy about a group of over-the-hill former CIA agents who band together when a hit is ordered on one of them has some stylistic touches, and a distinguished cast — both of which make for a surprisingly enjoyable film. After all, who wouldn’t love to see Oscar winners Helen Mirren and Morgan Freeman putting on disguises, throwing punches, and shooting bad guys? Bruce Willis, he’s the kind of guy you expect in a movie like this, but you don’t see him going mano a mano with Richard Dreyfuss every day. 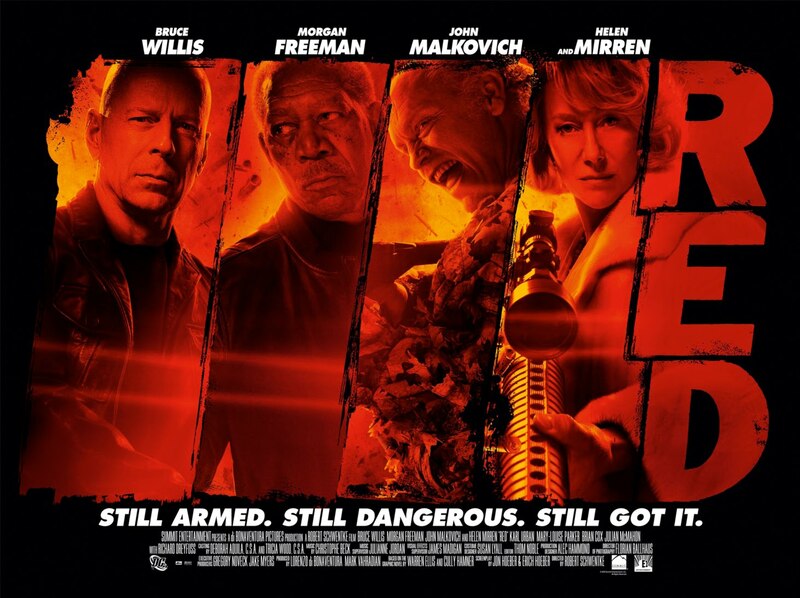 Sure, you may not have as much fun as Mary-Louise Parker seems to be having, but thanks largely to its cast, Red is a good time at the movies. I’m giving it a B.